Intervoice, we welcome people’s right to choose their own path (whether or not this involves the use of medication). If someone is struggling to cope with the voices they hear, and is diagnosed with a mental health problem, they may be under a great deal of pressure to take medication whether or not they find it useful. Sometimes this pressure can be implicit. The person may be given no other options and told that this is the only way to treat their ‘illness’. However, this pressure can also be explicit, where someone is forced to take medication against their will. It is important that people have the opportunity to think through their use of medication, and support to make their own choices about this. This page brings together some resources and information about medication. We will add to is as more resources become available. A refreshing challenge to the widely-held belief that most people diagnosed with schizophrenia will require long-term neuroleptic treatment, and that recovery is relatively unusual without it. 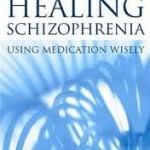 This book shows how a holistic approach which treats body, mind and soul can significantly improve the likelihood of healing and recovery, even for those with a long history of schizophrenia. 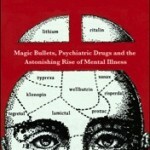 Website including Robert Whitaker, author of ‘Anatomy of an Epidemic: Magic Bullets, Psychiatric Drugs and the Astonishing Rise of Mental Illness’. Contains critical perspectives on medication, diagnosis and psychiatry written by guest ‘bloggers’ from around the world. 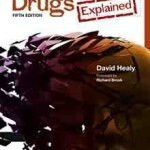 Psychiatric Drugs Explained contains a clear and comprehensive guide to the uses, benefits and impact of psychotropic drugs. It explains how people taking the drugs experience their side effects compared to the benefits they may bring. The fifth edition has been fully revised and updated to include the latest thinking on the rationale for drug treatements to help mental health professionals and service users understand therapeutic decision making. 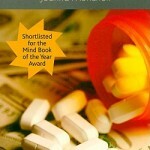 This book exposes the traditional view that psychiatric drugs correct chemical imbalances as a dangerous fraud. It traces the emergence of this view and the way it supported the vested interests of the psychiatric profession, the pharmaceutical industry and the modern state. If you, or someone you know, is considering reducing, or withdrawing from, psychiatric medication – please read through some of these resources first. Whilst people can, and do, live with voices without medication – coming off medication can be a real challenge, so it’s important to do it slowly and make sure you have the support you need. This website aims to give you up to date information about psychiatric medication, how it functions and the withdrawal process. It is put together by people who have been prescribed medication and withdrawn from it, and clinicians who have been involved in supporting this process. This guide brings together the best information we’ve discovered and lessons we’ve learned at The Icarus Project and Freedom Centre. It is not intended to persuade anyone to stop taking psychiatric medications, but instead aims to educate people about their options if they decide to explore going off. Many people want to come off their psychiatric medication. This booklet looks at why these medicines are prescribed, the possible effects of coming off them, the best way to withdraw successfully, and how to tell the difference between withdrawal and ‘relapse’. Friends don’t let friends cold turkey! If it goes wrong, it increases injury from psychiatric drugs. Be safe, go slow, live long and prosper. So is hearing voices good or bad? Everybody is different, using the knowldege that everbody is unique can build the confidence, and in turn, resistance in the battle to restore balance to your life. I heard a voice speaking to me every day, all day, and even dictating several book-length epic poems and prose books as well as artcles from 1998 until July 15, 2012 when a different voice, one calling himself Jesus, interrupted to tell me the previous voice had only been the devil all those years. Jesus told me I needed to stop listening, and so I did and have not heard since. Every time I told my psychiatrist I was hearing, I was put int the hospital–though the fact that I was only using/allowing automatic speech through me by the voice was the problem. From 1994 through 2012, I have been prescribed several different meds including seroquel, lamictal and even now Risperdone, not one of which ever worked to quiet the voice. Because I was suffering side effects including sleepiness, facial ticks, incessant foot and finger tapping and teeth clicking, I reduced my dos of Risperdone from 4mg to 2mg. After a few weeks I then reduced it, again on my own, to nothing. I feel just fine and will insist that no drug be prescribed in the future. I believe that my entire problem was being in awe of and all consumed by the intelligence and lectures of the voice all those years; and now that I am by choice no longer listening, and so no longer hearing, I think I will be fine with no medication needed no, and not in the past either, as it never worked in the least. Now to at some point notify my psychiatrist that I am disobeying his wish that I be drugged. He refuses to read any of the info on this site or any other article which says meds are better not used and he refuses to even consider that the voices are not hallucination, but rather real, spiritual contact. Hopefully this site and the various books out there will by and by teach the world the Intervoice perspective on Voice hearing. Leave a Reply to Alto Strata Click here to cancel reply.